Here is a book that matters… If you have read Xinran’s “The Good Women of China” and found it enlightening, this, too, reveals some secrets and truths yet unrecorded in Chinese historical documents. 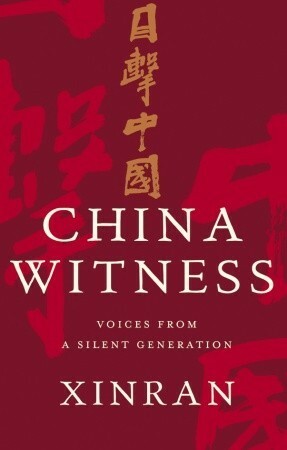 “China Witnesses” is a compilation of Xinran’s interviews of people who lived through the darkest years of China’s history. If you want to dig deeper at grass roots level into the sentiments of the very generation that has witnessed China’s evolution from poverty and socio-political unrest, this won’t fail you. Albeit heartbreaking at times, it invites readers to an introspective, reflective and inspiring read.